There are many different formulas to the perfect cup of coffee. It’s not always the flavor or the strength that makes or breaks it, although I’m sure some would argue with that. It’s your location and atmosphere. The perfect cup of coffee is enjoyed while sitting on the patio with an array of breakfast food overlooking Clark Lake on a summer morning. It’s sitting on a balcony in the Caribbean listening to the waves as the tide rolls in. Toys are every child’s dream. One man sought to achieve his dream in the name of business incorporating the needs and wants of his target market. Hans Beck (1929 – 2009), the German inventor who lived the dream he once had as a boy, invented Playmobil. First trained as a cabinetmaker, he pitched model airplanes to the toy manufacturing company, Brandstätter. But Horst Brandstätter, owner of this company, asked him to develop children’s toy figures. So Beck spent three years from 1971 to 1974 developing Playmobil. After conducting research on the development of a toy not too complex yet also flexible by its own right, he finally came up with a 7.5 cm tall toy, fitting in a child’s hand with a facial design based on children’s imaginative sketches – a large head, a big smile, and no nose. Each person is born with talents, but not everyone is capable of using them to their full potential. Some people may not even know which talents they have. However, one person managed to discover all of his gifts and knew how to use them. His name was Frank Sinatra. 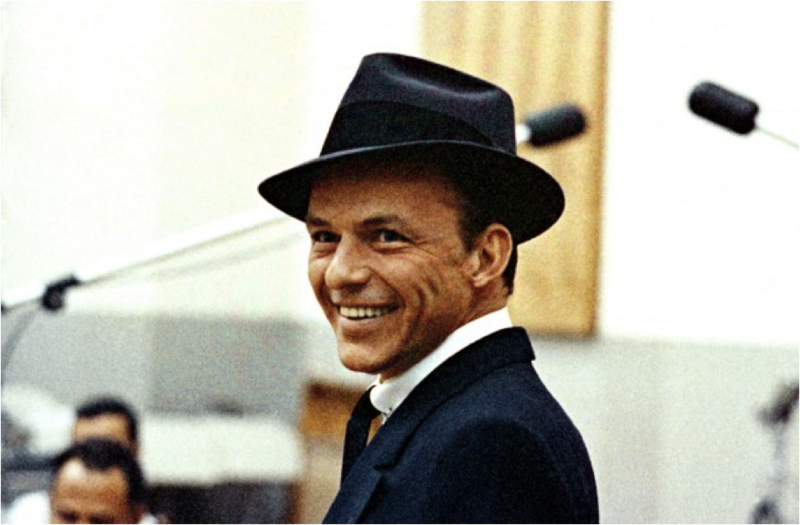 Francis Albert Sinatra was born in Hoboken, New Jersey on December 12, 1915. His father was Martino Sinatra, (Reference) a fireman and lightweight boxer, while his mother was Natalie Della Garaventi Sinatra, a saloon owner. Frank was an only child, and he had a Roman Catholic upbringing. Sinatra did not finish his formal education. He only attended 47 days in high school because he was expelled for his rowdy conduct. To make a living, he landed a job at Jersey Observer and worked as a delivery boy. He also became a reporter there and was tasked to cover collegiate sports. He then worked as a riveter at the Tietjen and Lang shipyard. Frank never went to a prestigious music school. It was his passion for music that led him to success. He carefully listened to big jazz bands, and at the age of eight he began singing for tips at a local nightclub in Hoboken. Although he never learned how to read music and only learned it by ear, he became a professional singer in the 1930s – when he was still a teenager. In 1935, his mother was able to persuade The Three Flashes, a local singing group, to let Sinatra join them. After adding Sinatra in the band, they changed their group’s name into Hoboken Four. They were able to impress Edward Bowes, an American radio personality, and were asked to perform in the Major Bowes Amateur Hour, the best known amateur talent show in radio in America at that time. Not only were they able to get 40,000 votes, but they also won first prize which was a contract to perform on both stage and radio throughout the U.S. for six months. In the late 1935, Sinatra left the Hoboken Four and returned home. In August 1939, he sang “All or Nothing at All” at a café. Unfortunately, it did not go well that time. The manager of the old Victor Hugo Café stopped them from singing and fired Sinatra and his band on the spot for being lousy. During the musicians’ strike of 1942-44, Columbia Records then re-released the same song and it was placed on the best-selling list for 4 months and 2 weeks. It also ranked number 2 on June 2, 1943. Sinatra signed as a solo artist at Columbia Records and had great success especially during the 1942-44 musicians’ strike. Sinatra retired when the sales of his music dwindled. He recorded the last songs for Reprise Records on November 2, 1970 before retiring. The last song recorded was “The Game is Over” which was written by John Denver. In 1973, he came out from his retirement and released an album, scored by both Don Costa and Gordon Jenkins, and a television special where both are titled as “Ol’ Blue Eyes Is Back”. It reached number 13 at the Billboard music charts and number 12 in the UK. The Empire State Building’s tower lights are known to change colors to acknowledge events and occasions. Its lights did not only turn blue in 1995 to commemorate Sinatra’s 80th birthday, but also on May 15, 1998 when he died on May 14, 1998 due to a heart attack. This person may be long gone, but his legend continues to live on among the hearts of his fans. Up to present time, people still listen to his songs. Some of his songs such as She Shot Me Down even have remakes to fit today’s genre. Got any fun facts or thoughts about Frank Sinatra? Don’t be shy! Share them through the comments section below! If you are an aspiring gemologist, one of the most vital tools that you need to get is the triplet loupe. It’s a handy magnifier that is commonly used for inspecting jewelries or grading gems. Unlike single-lensed loupes, the triplet loupe uses three lenses. It is more effective than the former because it can correct any distortions or color problems. Because of its small frame, the loupe looks like a toy that is easy to use. However, most seasoned gemologists will tell you that it takes considerable skill, knowledge, and experience in order to utilize this tool properly. To help you out, here is an article that will provide all the basic information that you need to know about 10x & 6x fully corrected triplet loupes. Loupes come in different magnification powers. If you saw an item that has a 6x label, it means that it can make an object appear 6 times its real size. The higher the magnification power, the easier it is for you to see the minute details of the gem. A 6x loupe is useful for examining the outer surface of the jewelry. But if you really want to penetrate the object’s deeper fractures, voids, and mineral inclusions, you should definitely purchase a loupe that has 10x magnification power or higher. The magnifying tool has a small frame, making it difficult for you to hold it properly. You actually need to practice holding it for several times before you get the hang of it. Once you open your loupe, its cover becomes the handle. Insert your middle finger in the opening. Rest your hand against your cheek so that the tool becomes steady. In order to get a better view of the gem, you need to adjust the focal length, or the distance between the object and your magnifying tool. The rule of thumb is that an increase in magnification power means a decrease in focal length. You have to move the object towards or away for a couple of times before it gets into focus. Before you inspect something under the loupe, you first need to consider your light source. Even though the magnifying tool has good lens, it will not function properly unless there is light shining down on the gem. It is easier to inspect a stone using an overhead light. But if your best source is a window, position yourself in such a way that the sun’s rays are coming over your shoulder. Make sure that your shadow does not obstruct your view. If you want to examine any inclusions, the light should be shining behind and through the stone. Texture – Does the stone have a glass-like surface? If yes, it means that it has a perfect polish. Some gems have miniscule pits or scratches. If they are not visible to the naked eye, don’t worry because it will not affect the brilliance of the stone. It will, however, look dim once you compare it to other gems that have a more polished surface. Girdle – Lapidaries who value their work do not just hastily cut a gem and make sure that its girdle is well polished. But if it is not polished, you can use a custom gem cutter to finish the job. However, diamonds are an exception to this rule because their composition is extremely tough. Unlike colored gems, they are cut differently that is why it is common to see a diamond with an unpolished girdle. Facet – A well-cut stone usually has sharp corners, and the facets have equal sizes and shapes. If their sizes are too varied, the quality of the gem will greatly suffer. These are just the basic factors that you need to know about the triplet loupe. As you gain more experience, you will be able to enhance your skills and do advanced tasks like examining the gem’s inner fractures, voids, and mineral inclusions. If you can share other loupe tips and tricks to your fellow readers, feel free to join the discussion in the comments. Fall is the best time of year. You get to open the windows and get that crisp, fresh air throughout the house. The trees are gorgeous as the leaves turn bright red, orange, and yellow. .
Apple picking and pumpkin picking are the most popular fall activities. There are so many yummy and tasty treats that belong to the fall and it’s all about the abundance of apple and pumpkin flavors. Go apple and pumpkin picking anywhere in the Midwest and you are sure to find two things: fresh made apple cider and pumpkin donuts. It’s all a major part of the apple and pumpkin picking experience. Number one priority upon arrival, pick your apples. All orchards have a wide variety of apples from Golden Delicious, to Macintosh, to Honey Crisp. That way you’ll have an assortment of your favorites to last over the next month. My family favorite is Golden Delicious because they are the best for making fresh apple pie. If you are lucky enough to go to the apple orchard on a beautiful sunny day you can take your time, picking the biggest and best apples. And if you’re working up an appetite, eat a few; they are scrumptious right off the tree. Once finished, pick your pumpkins and head over to the cider barn. There you will find warm apple cider and apple cider shakes…yes shakes and they are delicious. That’s where you will also find fresh made cinnamon and pumpkin donuts, hot and right out of the oven. Not only that, but there are gourds galore to pick from and use decorate your house with a little taste of fall. Don’t forget that most apples orchards also have a little petting zoo and playground for the kids to ensure that the whole family has a delightful fall experience. The Goldsmith’s Company, also known as The Worshipful Company of Goldsmiths, was founded to regulate the trade of crafting gold and silver items. Since 1300, this very organization has been responsible for quality assurance of gold, silver, and platinum (1975) items. It is one of the Twelve Great Livery Companies of the City of London. Made of London’s oldest and most modern trade associations, the livery companies of the City of London are responsible for training and regulating are their respective crafts, trades, or professions. These guilds, styled the “Worshipful Company of (insert profession)”, regulate trade specifics like labor conditions, wage control, and industry standards. During the Middle Ages, these companies were obliged to build close ties with the Roman Catholic Church. These days, however, members are free to follow any or no faith, despite the fact that most livery companies have retained their religious associations. In the 1300’s, Edward I of England passed a law which required that any silver item offered for sale was to be at the very least at par in terms of quality as the silver coin of the realm; which, at the time, was the sterling silver standard or 92.5% pure silver. The Goldsmith’s Company was tasked to check for the quality of the silver articles around the workshops in the City of London. On one hand, if the items were below standard they were automatically forfeit to the King. On the other hand, if they were found to be acceptable, each item would receive the King’s mark of authentication which was the mark of a leopard’s head. By 1478, there were so many workshops and merchants (in the hundreds) in London who manufactured silver items that is wasn’t possible for the wardens to check all of them. This was why all merchants were ordered to bring their items for inspection to the Goldsmith’s Hall for testing and marking. This is where the term hallmark originated. A hallmark indicates the amount of precious metal in the alloy per thousand parts. Remember that precious metals like gold, silver, palladium, and platinum are rarely ever used in their purest form due to the fact that they are too soft on their own. This is why precious metals are mixed or alloyed with other metals like copper. Up to this day, precious metal alloyed artifacts and items are still brought to the Goldsmith Hall for checking and marking. It remains to be the oldest company in Britain which plays an important role in supporting the industry, funding apprenticeships, and assisting with training aspiring craftsmen. The company has also created a community that provides a workspace and training for goldsmiths and other related crafts. They promote excellence in design, craftsmanship, trade, education, and development of the industry; aiding aspiring artisans in all aspects in silverware, jewelry, and other alloyed items. They arrange competitions, commissions, and exhibitions, with the Goldsmiths’ Fair (an annual selling exhibition on the first week of October) being one of the most popular. We’ve all heard of Beanie Babies, right? But who makes them? Get to know the whole story behind the success of H. Ty Warner and what made him one of the most talked about businessmen in Forbes Magazine. H. Ty Warner is an American toy manufacturer, businessman, philantrophist, and former actor that was born on September 3, 1944 (69 years old). His father was the late Harold Warner, who was a jeweler and toy salesman. His mother, on the other hand was Georgia Warner, a pianist. He was named by his parents in honor of the late baseball star, Ty Cobb of the Detroit Tigers. During his younger years, his family moved to La Grange, a village in the west of Chicago wherein they stayed until 1996. From Kindergarten, up to the age of 13, Ty went to Cossitt School. At 14, he started at Lyons Township High School (south campus) in Chicago. After attending three terms at Lyons, Warner then went to St. John’s Military Academy in Delafield, Wisconsin. St. John’s Military Academy confirms that approximately a year later Warner left their school to study drama at Kalamazoo College in Michigan. In the following a year after attending Kalamazoo College, Warner decided to move to Hollywood, California in the hopes of becoming an actor. However, his acting career didn’t flourish and he then found himself working miscellaneous jobs as a gas station attendant, grocery clerk and a door-to-door camera salesman. In the year 1962 he obtained a new position, and that is to sell plush animals for Dakin, a toy company based in San Francisco. Warner worked with Dakin for over 18 years and was terminated out of dishonor for the peculiarity that he had exhibited in his actions. After he got retrenched, he spent a three-year sabbatical in Italy, and returned back to Chicago to make a name for himself. Back in 1986, Ty mortgaged his house and invested all his life savings, including the bequest that he got from his father in order to fund the foundation of Ty Warner Inc. which was then renamed into Ty Incorporated. In 1993, shortly after starting out as a company that sells stuffed toy cats (inspired by some of the plush toys that Warner had seen in Italy), Ty Inc. launched what is now famously known as the Beanie Babies At the peak of the Beanie craze, the privately owned Ty Inc. is believed to have earned over $700 million in profits in a year. In 2007, Ty Inc. went head to head together with MGA Entertainment, makers of the Bratz in order to release what is called as the Ty Girlz dolls and virtual world. Now, he still remains to be the current CEO, sole-proprietor and founder of Ty Inc.. Aside from owning Ty Inc., he is also known to have significant investments in hotels, property and golf courses. Ty Warner Hotels and Resorts include the Four Seasons Hotel in New York City, the Sandpiper golf course, the Four Seasons Resort in Santa Barbara, California, the San Ysidro Ranch in Montecito, California, the Kona Village resort in Hawaii (purchased in July of 2004), the Montecito Country Club and the Las Ventanas al Paraiso Resort in Los Cabos, Mexico (acquired in September 2004). 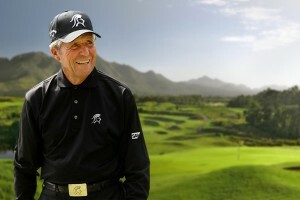 In 2005, Warner also bought the beachfront Miramar Resort and Rancho San Marcos Golf Course. Presently, he still remains to be in the list of Forbes Magazine’s Top 400 wealthiest people in the United States of America. As a philanthropist, he is also known to have donated millions of dollars to various charitable organizations. In fact, he has donated about $6 million to the Andre Agassi Foundation for underprivileged children in Las Vegas and another $3 million for the creation of Ty Warner Park in Westmont, Illinois. He also donated $1.5 million for the creation of the Ty Warner Sea Center in Santa Barbara, California. He also donated one million Beanie Babies for the children in Iraq and also donated more than $300 million worth of soft toys for a Red Cross blood drive. Furthermore, Warner has designed a number of Beanie Babies with the intention of donating all of its variable income to charity. Ty Inc.’s charity releases have raised millions for a variety of charitable organizations, including the Elizabeth Glaser Pediatric AIDS Foundation, the American Red Cross, and the Princess Diana Memorial Fund. As a matter of fact, back in 2006, he has received the Children’s Champion Award from Children’s Hunger Fund for his philanthropic efforts for having donated 1 million Beanie Babies to Children’s Hunger Fund relief efforts in Iraq and Afghanistan. The Beanie Babies Master was pled guilty of Tax Evasion last December of 2013, but was not sentenced to go to jail in one of the hearings this year (2014) because a judge ignored the prosecutors’ pleas. Instead of spending some jail time, he was given a probationary period of 2 years together with some community service duties. Now, Ty Warner still continues to live a relatively private life. He rarely gives the media a chance to interview him, making it difficult for people to grasp some private information about him. Even in various toy conventions, trade shows and/or charity functions, he is nowhere to be found. However, there have been instances wherein people got to interact with him. Thus, giving off a positive feedback pertaining to how friendly and approachable he was, especially towards the children and the poor. A matter of fact, he even gave a woman $20,000 for her stem-cell procedure in order to save her life. It’s September, summer is ending. The sun is setting earlier every day. The humid summer heat is turning into crisp autumn air. It’s time to turn off the air-conditioning and bring some fresh air into the house. It’s also time to bring out the fall candy dishes and decorative towels. But those won’t be out long because once October hits they need to be traded out for Halloween candy dishes and decorations. Don’t forget to put away those summer soap and candle scents like Caribbean Escape and Forever Sunshine for Sweet Cinnamon Pumpkin and Warm Caramel Cider. Say goodbye to those tank tops and flip flops and start taking your sweaters and boots out. Baseball? Forget about it. Football has already started which means Sundays are spent rooting for your favorite team. And hockey is right around the corner. Weekends will no longer be spent lounging at the pool but rather apple picking or pumpkin picking. Light summer salads for dinner? I don’t think so. It’s time for pasta, chili, and apple pie for desert! 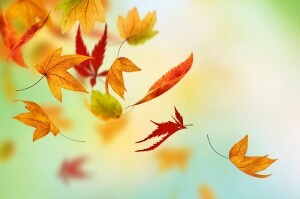 It’s always hard to say goodbye to summer but there are so many great things about fall to look forward to. Watching the leaves change to beautiful colors and getting some great pictures of it. Having a bonfire on a cool fall night is a great way to enjoy fall with your friends. Your favorite TV shows come back on the air which makes the weeknights a little more enjoyable. Let’s not forget Halloween. You get to dress up and celebrate with your friends, kids, and the neighborhood. Not only that, you get to carve pumpkins and make pumpkin seeds. It’s always sad to see summer come to an end but knowing there are such wonderful things to look forward to in fall makes it a little easier to bear. The prospect of the first day of school is exciting! There is so much enjoyment leading up to that first day. About a month or so before school starts kids get to learn who their teacher is and which friends will be in their class. They get their list of school supplies and get to tailor it to their own tastes and preferences. Love Frozen or Teenage Mutant Ninja Turtles? Buy some folders with them on it and some pens too. Pick out a lunch box that’s your favorite color, animal, or character. It’s so exciting to get to pick out all of your supplies. For teachers, it’s a nice way to see each child’s personality and get to know them better. There are all kinds of anticipation for the first day of school and picking out school supplies is just one of them. Many kids will get to see friends that they haven’t seen the entire summer. Before the first bell and during lunch they can reconnect and catch up on how the long, hot days of summer were spent. The first day of school will be fun and will fly by. Then the second day of school comes. And reality strikes. No more summer days of freedom and fun, rather responsibilities and homework. No more late nights or sleeping in. Now it’s up at the crack of dawn, eat breakfast, and go. Homework sounds like a fun new challenge on the first day of school but by the second day, it’s homework. When kids arrive on the second day of school, they wonder why they have to be there at all and day dream about all of the things they could be doing if it were still summer.